The Backward Walk: the gentleman backs the lady several steps, before transitioning into a swaying turning two-step. The Heel and Toe Slide: in normal partner position, the couple slides to the lady’s right. The lady steps onto her right heel, draws her left foot to meet her right, then steps onto her right toe, and repeats the action. The gentleman mirrors. The Left Hand Raise: The couple joins left hands over head, with right hands meeting behind the lady’s waist, and two-step. 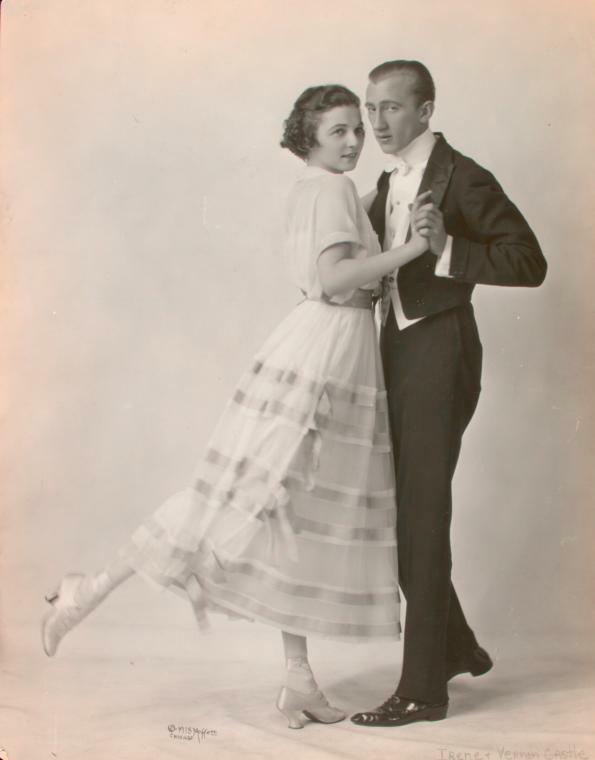 The Two-Step Start: Lady and gentleman side by side, with right hands on her hip and left hands outstretched. Both two-step starting on left foot. The Whirl: The gentleman raises the lady’s hands over her head. She then “revolves several times while in this position,” stopping when she reaches the figure 3 position. The Cortez: Ms. Sawyer actually breaks this step into two parts – working up to the cortez, and the cortez itself. The discussion is rather involved, although the diagram helps enlighten somewhat. Youtube was provided the recording by The Orchard Enterprises. The article discussed in this blog post was provided by Nebraska Newspapers. The cover picture is a clipping from Chronicling America and advertises headliner “Dainty Joan Sawyer.” It was printed March 26, 1916 in The Washington Herald.